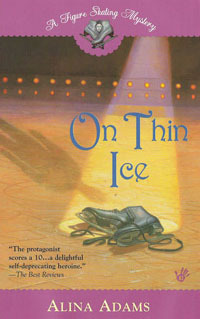 The Ice Mysteries of Figure Skaters. It is well known that for a long time in figure skating, almost every pair was a couple of husband and wife. The current generation of figure skaters continues this tradition. The best known spouses are Elena Grushina and Ruslan Goncharov of Ukraine, Margarita Drobiazko and Povilas Vanagas of Lithuania, and the famous Russian dancers Irina Lobacheva and Ilya Averbuch. Even when they stop competing, the pairs rarely break up. It is not always necessary for them to participate in the sport at the same time. It happens that students seduce young coaches and marry them. In this way, the world ice-dance champion Tatiana Navka become the wife of her mentor, Mr. Alex Zulin. 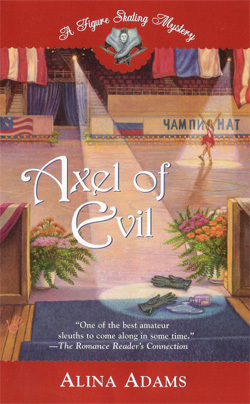 Sometimes it happens the other way around, as in the case of the Romanian figure skater George Chiper and his Swiss coach, Sandra Sher. The sad tears of eternal love. "Only death can separate us" - that can be often said about figure skaters. When they started their climb to stardom and to Olympic glory at the end of the 1980's, sympathetic and charming youngsters Ekaterina Gordeeva and Sergey Grinkov won the hearts of the public. The girls were chasing Sergey - a very handsome guy, but he shied away from easy love and was getting tired of the excessive attention. Katya never showed that she was interested in Grinkov as more than just a skating partner. Sometimes they would show up in public together, but at the first sight there was no romance between them. No one thought that some day they would become husband and wife. Sergey gave in to Katya's charms and they got married in April of 1991. Soon after that, they become professionals and went America. There, in September of 1992, their daughter was born. Almost immediately after giving birth, Katya went back on ice. Then, the spouses decided to do something that was unthinkable before - to convert back from being professionals to amateurs. They dreamed of winning one more Olympics. And they achieved their dream in 1994 in Lillehammer! A year later, Sergey was gone. He died on ice during practice. It was said that a culprit in his death was a hidden heart disease, but for Katya it did not matter. Her life was colored in black colors. Three years old Dasha lost her father, and her mother, to keep herself from thinking about her fate, wrote a book about her life in America and continued to participate in professional shows. Greedy American producers decided to capitalize on the image of the grief-stricken young widow and presented Gordeeva as such for a long time. Her life changed later, when she married another Olympic Champion, whom she helped for some time to prepare for the shows. Gordeeva is a few years older than her current husband, but it does not interfere with their family's happiness. They live in the USA, participate in professional tours, raise their daughter Leeza, and …remember Sergey. 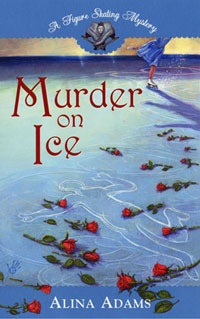 To win free copies of "Murder on Ice: A Figure Skating Mystery" and "On Thin Ice: A Figure Skating Mystery" please visit www.AlinaAdams.com . Katya forgot to mention about her true love and a deep passionate love relationship with Alexander Zulin back in 1991. Katya and Zulin was both married but with another partners. Katya was then married to " My Sergey" and Zulin was married to Usova. Katya was telling her friends that Sergey had a drinking problem and was dissapering for days but she was so deeply in love with Zulin that she seriously considered living her husband Sergey to be with Alexander forever. But one day something changed her mind and she decided not to leave her "drunk husband" which left Zulin with broaken heart. Впервые призналась бывшая фигуристка Майа Усова, что она все годы до и после Олимпиады в Лиллехамере уничтожала легендарную чемпионку Оксану Грищук своим выдуманным романом о несчастной семье, чтобы смести Оксану со спортивного пути ..
я просто не нашла в себе сил сказать тренеру, что дело не в Грищук..
sport-express.ru / Усова: "Наталья Дубова выгнала из группы Оксану Грищук именно по личным причинам. Дубова очень любила меня и хотела таким образом как бы расчистить нам с Жулиным дорогу к медалям, что ли. И я просто не нашла в себе сил сказать тренеру, что дело не в Грищук. А в отношениях, которые для меня невыносимы. Но после такого поступка Дубовой я просто не могла нанести ей еще один удар - объявить, что и я ухожу из пары". 17 лет спустя созналась бывшая фигуристка Майа Усова Российскому корреспонденту газеты Спорт-Экспрес Войцеховской что легендарная чемпионка Оксана Грищук не была причиной распада ее семьи. Что она подхватила эту хитро- вымышленную историю от своего тренера для уничтожения Оксана Грищук как сильнейшего спортивного соперника перед Олимпиадой 1994 года. Которая для Усовой была решающей и последней в ее спортивной карьере. А после проигрыша Олимпиады она использовала эту же версию как орудие мести против победительницы Олимпиады Оксане Грищук. А заодно и прямой возможностью быть рядом с именем Оксаны Грищук хотя бы в прессе. Заниматься сплетнями ушедшей из спорта низшей по чину.